We are sponsoring Aderants Momentum London hands on event, Aderant is a legal software company with offices world wide and has a 35 year history as a global leader in their industry. The Momentum event provides attendees with the learn more about Aderants line of products and gives them a sneak peak into the latest products in development. ACC are sponsoring the hands on sessions were the products will be showcased, tested and used by members of the audience. The laptops that the products will be showcased on have been supplied and imaged by us, if you require any similar services for your organisations click here or take a look through our website to find out more out the IT support and supply services that we specialize in .We will be there too and look forward to meeting everyone! The widespread adoption and rising internet speeds has allowed for a new way to purchase to go into widespread use, this is as a service, often abbreviated to aaS when the type of service which is being purchased has its initial put before it. There is an endless list of goods which can be purchased as a service for example: backup as a service (baas), software as a service (saas), platform as a service (paas), infrastructure as a service (iaas), disaster recovery as a service (drass), hardware as a service (has) and so on. The service provider hosts the equipment, software or whatever is being used themselves and lets their clients use it. In most cases services which are used are delivered over the internet. Even mobile phone contracts are a type of as a service, you pay a monthly bill which gives you x amount of minutes, texts and data for you to use however you want. The price you pay also includes technical support and a service guarantee which the service provided would have stated in their terms and conditions. All of the other as a service models in information technology work in much the same way as this. There are some distinct advantages to using the as a service IT model which has led to it becoming so successful. The main one is that you do not have to spend a large sum of money to get the capabilities that you need, let us take infrastructure as a service for example, you may need to a few servers to put some applications on for a few months and then after that reduce the load on them which would reduce your need for the amount of processing power, RAM, storage space etc. if you were to physically purchase this equipment it would be expensive to begin with, you would need space to house it and you would be left with unused hardware and software at the end of it as your requirement goes away, with the as a service model you do not have this problem as the service provider owns it. Your business just pays to use it and you pay for the amount you require, as the need decreases or increases you can purchase a lower usage amount. Ease of use is another major benefit as the service is provided by the service provider you often require less technical knowledge by using the as a service model as opposed to doing it in house. For example if a client is using our backup as a service package our management portal will alert us of the amount of data being backed up, if new storage space is needed it is automatically provisioned, you do not need to do anything as it is all managed by us and you have the tools to log into the management portal and see exactly how much data has been backed up, data growth etc. Having access to more powerful computing systems is another big benefit which the as a service model lets you enjoy as it is a shared service your using (the service provider owns the equipment and provides it as a services to other businesses), these services all have an on demand nature, you can use it when you need it and purchase an amount in line with your needs (it is based on usage). It is an inexpensive way to use high end technology. For example our Hosted Email package gives you a Microsoft Exchange mailbox which is always kept up to date, the mailbox is kept in a ISO certified UK based data center on high end email servers, they are then replicated to a secondary site for added resiliency and you also have a 125GB mailbox with antivirus and spam features. This service starts from just £5 per month and it is managed by us. These services can all be trailed for free. Having access to a big knowledge base on tap is another key driver here, services such as technical support as a service lets your business have its own IT support department at a fraction of the cost of having internal IT support staff as it is a pay per user model. We spoke about the different aspects of technical support in a previous post. These services give flexibility which is at the core of all of services that we offer, it is completely based around your businesses requirements and lets you use IT as a business enabler. Overall the as a service is growing day by day and has a lot of buzz around it as technology capabilities continue to increase. This gives small businesses access to higher level technologies which in turn increases their innovation and competitive levels enabling them to do more in a shorter amount of time for a lower overall cost. These services are designed to be easy to use with no technical knowledge required and will let you use technology in a more meaningful way in your business. If you would like to receive more information about our as a service IT packages then feel free to email us or click here. Likewise if you enjoyed this post then make sure you comment down below and share it! Cloud computing has really taken off in the last few years and is now being used as a buzz word for a lot of different things in essence cloud computing can be defined as an activity which uses servers hosted on the internet for computing purposes (store, manage and process data) you can own your own cloud or you can pay to use someone else’s. Cloud computing has been around for a long time, think Hotmail your emails are stored on Microsoft’s servers you simply log in and view, send/receive them, it’s the same with Facebook the images are uploaded to Facebook’s servers an can be viewed from anywhere. Cloud computing has been around for a long time and has been used widely in day to day life but only recently has it taken off in a major way for businesses. This could be attributed to the fact that internet speeds has increased which allows for more things to be done over the internet and the number of devices connected to the internet has also grown a lot of recent years. There are lessons learned from cloud computing and benefits that it brings to businesses whether they use a hosted backup system for their data, have applications they use in the cloud or use any type of cloud service for that matter. This post aims to explore the beneficial lessons which can be learned from the cloud, there are many but to keep size down we will be going over four. Let’s start with point number 1: It does lower costs but not in a major way, it takes time to realise the benefits. Move things to the cloud won’t bring your costs down to zero, the data that you back up in the cloud for example still needs to hosted somewhere on physical equipment which needs power and ongoing maintenance, there will still be an IT support team who monitor the data being backed up. The equipment is just not on your site and it is not owned by you unless it is a private cloud that you own yourself but for this post we will discuss shared clouds. Your business does save on hardware costs, human resources and electricity as these are all included in your monthly fee. You only pay for the things that you use and do not have any hardware which is not being used. By hosting non business critical IT functions to the cloud you will lower your costs on a monthly basis and as time goes by your savings will too. Number 2 – It gives you access to more IT systems for your money. As most cloud services are shared services the costs is split across the different organisations which use the service, this lowers the cost for everyone as it isn’t just you shelling out for the equipment and managing it. You can use services for example which will let you back your data up to multiple data centers and keep it encrypted or use analytic tools to review your customers buying behavior. These things are expensive and would normally be out of reach for a lot of small businesses but cloud computing makes them all readily available for a lower cost. Number 3 – it improves security: how many times have you heard someone say I’ve lost my laptop? Your main concern when hearing this is what about our data. Data is very valuable. With a remote locking and wiping tool which is a feature of our antivirus solutions the lost laptop can be locked and whipped remotely and the data that was on it can be reloaded from backups onto a new laptop. This process can take less than an hour sometimes and everything is kept secure, your data is whipped from the laptop and your backups are secure. Through cloud computing you can have your data hosted inside an encrypted environment, the software’s, hardware’s and people skills used to do this would be very costly to do to high levels, but in a shared economy it works out very cost effective for the buyers. Number 4 – it makes your business more agile: this is often a point which is left out in many discussions but it is something that is very true and is worth looking at. 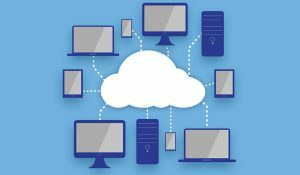 Through cloud computing you lower your physical hardware purchases, these hardware purchases tie you in for a certain amount of time as your business has to get usage from the equipment before you can get rid of it or to use something else. If you purchased an email server for example it wouldn’t be a simple lets change it job as you have already invested in it. Whereas in cloud services you can upgrade and change things a lot easier, in most cases the supplier will guarantee that their products are always kept up to date. It becomes a lot easier to makes changes and to scale up or down. This is feature in both our hosted emails and hosted backups if you grow by 5 members of staff one month and then shrink by 10 we can easily readjust the services that you are using so you do not overpay for anything or have unused licenses this is the same with the amount of data being backed up, all of this is managed by our IT support teams. Overall through effective use of the cloud your business can have access to a wider range of technologies and can change them as your business goes through various stages. This makes it easier for you to use IT as a business enabler and helps compete in the market place as high level technology is no longer only reserved for large companies. If you would like to learn more about the cloud services that we offer feel free to email us or click here to visit our homepage were all of our services are listed. IT Support is the term given to any activity which gives assistance to users of technology products, this a wide area but for businesses IT support can be broken down into three categories: first line support, second line support and third line support. This tiered structure enables the service provider to better serve its clients through taking a structured approach, different technical staff can be allocated to providing different levels of support, it gives a clear escalation and problem resolution process which both the users and the service providers benefit from. In the coming paragraphs we will discuss the different tier roles in a little bit more detail, if you want to read a more general overview of IT support business functions we discussed this in The benefits of outsourcing IT support and in Do small businesses need IT support. First line support is the support level which is responsible for basic customer issues. The role of the engineer would be to provide assistance for basic problems, gather information, create problem descriptions , get screen shots, analyse the problem(s), do some basic trouble shooting and install devices such as desktops, laptops and printers. This is the first level of support and normally acts as the first line of contact for the users and will provide technical support for simple and common problems. These people normally here questions like I’m not receiving my emails, I can’t remember my password, how can I change my password ,I’ve lost some of my files and my PC has become unresponsive, how can I set my emails to out of office and so on and so forth. Once the underlying problem has been identified the specialist can begin going through some resolution solutions. If they cannot solve the problem the support request will be escalated to second line support. Second line support is a more in depth technical support level. 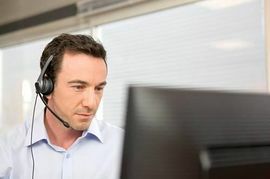 Technicians in this area of support are responsible for assisting first line support staff and investigating escalated issues as well as monitoring the customers IT systems to insure that everything is working at an optimal rate. If the personnel in this group are unable to resolve the issues the support request is then raised up another level to third line support. 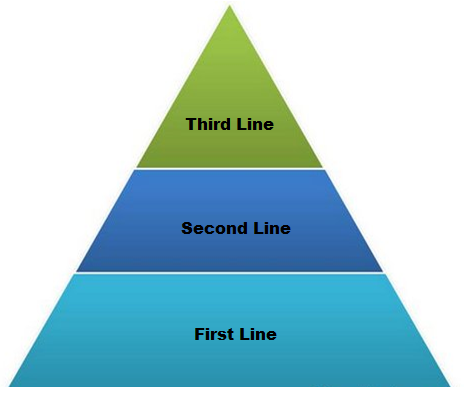 Third line support is the highest level of support in the three tiered support model. This department of the IT support team are responsible for solving the most complex IT issues and are in control of the strategic direction of the IT department and will research and develop new solutions to issues and providing support to first and second line engineers. These are the big guns in the IT support world and are there to guide the support team and to provide answers to the most difficult problems providing highly technical assistance. All three of the different departments all have important but different roles to fulfil on a day to day basis, it is when they come together that a solid IT support team is formed which can quickly and efficiently resolve customer issues whilst causing minimum disruption their business. 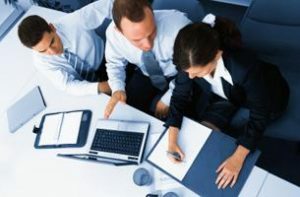 This is where both sides benefit as the IT support teams have the correct structure and tools in place to provide a great service and clients in turn are able to receive a service which is based around their needs and has the necessary personnel and procedures in place to manager their IT systems efficiently. Having access to a support team as described above gives you a quicker and more efficient support as there is structure to it and different members of staff have clearly defined roles which they are specialists in and there is a clear support procedure in place. When this is coupled with a solid helpdesk software time is managed well and information is shared between the relevant members of staff so if one person cannot solve a problem it is easy to pass it on to someone higher up the chain who can pick up where the previous person left off. 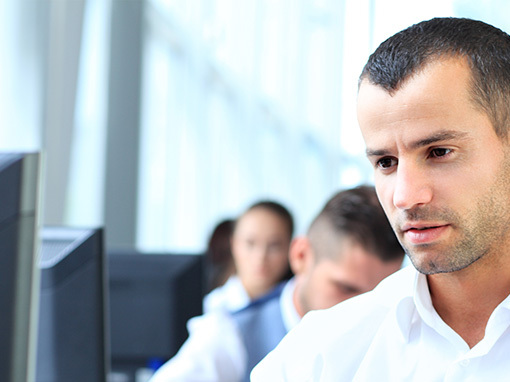 Through our continuous staff and service development our IT support services gives you a tired IT support department which you can use as much as required and all of this is at one predictable costs. Your business can enjoy the benefits mentioned above removing the IT challenges your business faces freeing up your business to perform at a higher level with fast, expert technical support which can be delivered remotely and on site. Our services are tailored to businesses with up to 75 members of staff. If you would like to learn more about our IT support services click here or send us an email all support packages starting in June and July will receive a 10% on the first 4 months of service. Can IT support make your company more client centric? If we go back as little as 16 years to the beginning of the 21st century we can see how widespread the adoption of IT (information technology) has been. Today IT is universally regarded as an essential tool in enhancing the competitiveness of a business. Think about it would your business be able to compete in today’s market if you had the same pc’s, laptops, servers and data that you had in 2000 right now? IT lets you keep better contact with your staff, suppliers and customers and is the key engine for most businesses. Through effective use of IT your business can become more client centric, you have more ways to stay in contact with them and can provide a more efficient service. Through having a client centric approach businesses are able to create a unique selling point which isn’t easily replicated, low prices and physical equipment can be copied but having a client centric business is harder to adopt and maintain over time as it is an ongoing commitment. This is important as advances in technology and communication has given rise to a more empowered consumer and in a lot of instances they expect immediate response and service. Think of it like this, you now have many ways which you can communicate with your customers for example: social media, service reviews and emails some of these are direct whilst others are indirect but it goes to show how much more empowered today’s customers are. Everything matters, a bad review online can loose you potential sales the same way that a good review or Tweet can bring you some new sales, this has all come about from the wide scale use of technology. The adoption of IT will make your company more client centric by default if it is properly maintained and serviced, this is where the importance of proper IT support comes in. If you are business with up to 50 members of staff and do not have your own internal IT support staff then employing a company which specializes in these services is the most suitable option. Imagine it like this, your staff are linked to a support desk which they have unlimited use of, any issue they have they simply send an email, this request is then processed and assigned a target time for it to be responded to and to be resolved, this issue is then resolved, through automated monitoring and alerting tools we can spot problems at its earliest stage and insure that downtime is kept at the minimum acceptable level throughout the year. This will give your business a IT system which is running at an optimal rate and staff can focus on their work, thus allowing you to provide a better service to your customers which in turns makes your business more client centric. There really is no point in purchasing the IT equipment for your company if you do not have a proper plan to support your staff in using the equipment and making the most out of it. You have to remember that IT is a business enabler; through effective use of IT you can sell more and do more business both with new clients and with existing ones. There is on going work which needs to be done to keep your systems up and running which is what IT support does and this is how IT support can make your company more client centric by providing your business with the platform to be more client centric from. Finally fell free to like this post, share it and get in the comment box below. IT brings your staff together as a team and enables them to work efficiently without boundaries, it connects you to your suppliers and to your customers and is the main engine in your business. You are the driver and you are in control but you must admit that IT has become the engine that almost all businesses are now running on. IT systems the same as any other type of engine need support and maintenance, the type of support and response times depends on your business and the outcomes that you want to facilitate. Depending on your requirements and budget you could hire your own internal IT staff, do it yourself or outsource the IT support work to a IT support company. If you have the requirements and the budget then hiring internal staff would be a good option, however do your requirements justify this? If you answered no then this post is for you. Often times the IT issues are palmed off onto one of the members of staff who has some IT knowledge, the problem with this is that that person has a day job too and sorting out other issues takes them away this. This person normally here’s questions like, my PC is slow, I can’t connect to the internet, my emails aren’t working and so on this person is often contacted to sort the problem. If this sounds like what you are doing at the moment would you send that member of your staff off to different IT courses to learn new skills and to get certified, would you supply the required tools for them to provide a high level of support to your staff? If you answered yes then well done, if you answered know then you see where this is going. It forces people to become specialists in too many areas and in the end something has got to give. Googling your problems doesn’t work either…….. If you are interested in learning more about the IT support services that we offer then feel free to get in contact with us by clicking here, and if you liked this post then make sure you share it and get in the comment box below. 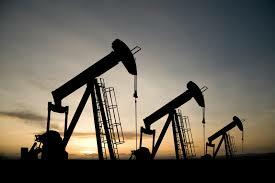 IT continues to play a vital role in businesses today and it has become the backbone of businesses in the UK, and if IT is the backbone of businesses then data is the oil that they run on, thus making data the most important asset to businesses and making data the new oil as it is the fuel that businesses today are running on. Data also flows and grows and should be treated as something that does. Think of emails, you receive and send your inbox and sent box continue to grow (these are the oil reserves) the emails you send to people both inside and outside of your business are the streams of data (oil) flowing. This is the same for everything else that produces data were it all aggregates is the reserves and were it flows in and out are the streams which lead it to different places. To avoid spoilage, leaks and theft this data must be kept secure, similar to oil large reserves of data are valuable and other people may attempt to steal it, it can leak and it can decay. All of these are issues which businesses should address. Think of it this way, if your business lost half of its customer purchase history data and was unable to receive it what impact would this have? Data is great, it is the most important asset a business has and it has allowed many organisations to do great things, but all of these great stories ignore data’s negative side and the real problems it has caused for businesses across the world. The victim of identity theft is just as trapped and unable to fly as the bird caught in the oil slick and for businesses data security issues can have a greenhouse effect i.e. hot glare comes in from public scrutiny, bad press etc. very easily but does not go away as easily and as quickly as it came in. As the data sets get bigger so too do the threats the data becomes similar to an oil tanker navigating through cyber criminals and human error. How to proceed? Keep your data protected whilst it is onsite and have a secure backup solution in place, we talked about cloud backups and it benefits in a previous post (for more information on that click here). Data can be recovered, if you have taken regular backups this can be done with minimum disruption to the business, how long it takes depends on the quality of the backups, the size of the backups and your internet speed (internet speed is normally the main determining factor). This is fine but we see it all too often that many businesses do not backup their data (some estimates put this number at nearly 36%), or it is backed up in such a way that restoring lost data in a time friendly manner is near impossible. Our hosted backup solution enables you to back up your data securely to an external site where it is replicated to a secondary site to eliminate the single point of failure, the data is kept encrypted the entire time and after the full initial backup of your system is taken only the changes will be backed up, this keeps both backup sizes and restoration times to a minimum. 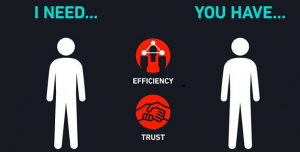 A shared economy in its simplest form is a system which allows individuals to use assets owned by someone else. In business this can have big benefits for small-medium sized companies especially when used for IT purposes. Cloud computing is a big example of the shared economy, through having shared data centres companies can have access to equipment and technical resources which would have been too expensive if they were to physically purchase it just for their own use. As there are multiple companies using the service(s) costs can be spread thus lowering the price for everyone and increasing the services availability to a wider market, hosted backup solutions is a widely available example of this. Now as companies dependence on IT grows and data becomes more a more valuable a solid backup plan is needed to insure business continuity, you have to ask yourself the question if my company was to lose a large amount of data what effect would it have? Data is an important business asset, after all without customer information, order details, product data etc. your business wont be able to perform any of its activity. 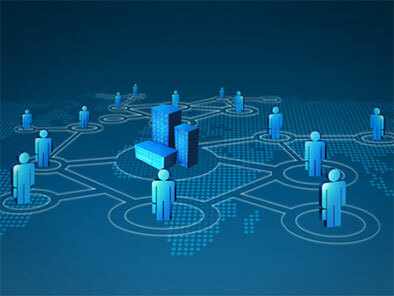 Through using shared resources your business can have a data backup plan in place which backs up the data at regular intervals securely to an external site where it replicated to another site for additional resiliency, if any data is lost it can be quickly reloaded, lost mobile devices can be remotely locked and wiped. Despite the importance of data this is still an area which we often see is over looked by many businesses. The hosted backups in the shared economy gives business of all sizes the ability to do what would have costs thousands of pounds for less than £100 in some instances. This is because there is no need to purchase hardware and no technical knowledge is required. Data is encrypted and kept secure in multiple data centres doing all of this for yourself would end up costing a lot of initially and would have large on-going maintenance costs too. In a shared economy different organisations are backing up their data to the hosted environment thus bringing the costs down for everyone as it is shared amongst its users. A cloud/hosted backup plan as outlined above can cost as little as £25 per month, this is because you are tapping into the economies of scale provided by the MSP giving your business a secure and scalable data backup plan. We use Acronis Backup Cloud for our clients, this is a secure backup solution which keeps data secure from its source all the way through to the data centres it is stored in (all data is kept inside the UK). This is all managed by our IT Support team and no technical knowledge is needed. If you would like to discuss our hosted backup solutions in more detail simply email info@accldn.co.uk or call us on +44 208 5188 353. This coupled with the continues growth of smartphone adoption and that tablet sales have already surpassed desktop and laptop sales shows that mobile internet traffic will continue to grow in the coming years until the market matures. This is great for users, you can surf the internet and work, take selfies, go on YouTube etc. at any time from almost any location and with good internet speed. But this does however create one problem for IT and this is security. Most threats (viruses, hacks, malware etc.) come from the internet and this is where most infections happen thus making security an issue, especially if you use your mobile devices for both business and pleasure and as the number of devices multiplies like rabbits so do the number of threats. In an ideal world we would have separate devices for business and non-business use, but that normally isn’t feasible so the next best thing to do is to keep everything secure. IT support staff often have to work hard not to lose control. As members of staff bring their own devices to work on a daily basis and expect the same level of access as with corporate-owned devices. Keeping data safe is also an issue which is addressed in Sophos Mobile Control 6.1, through it’s features you can configure powerful encrypted containers for documents, emails, calendars across different devices running different operating system. If a device goes missing it can easily be locked and wiped within a few clicks. Data can then be reinstalled onto a device if you have backups in place. Even if an employee leaves a company they can simply be removed from the containers so no need to wipe their entire device. The management of mobile devices can be done by us as we offer this service to our customers or your own IT support staff can do it if you have the internal resources. 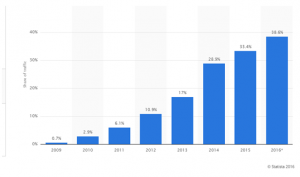 Overall mobile device usage has grown exponentially over recent years and will continue to do so into the future and they are used in almost every business across the country and their sales continue to go upwards year after year, in order to keep data and IT systems safe it would be wise to have a security policy in place to manage the users. By having this you can protect yourself against risks related to mobile devices and you can increase the productivity of your staff. If you liked this post make sure you get in the comment box.